Florence is notably one of the culture capitals of Europe. 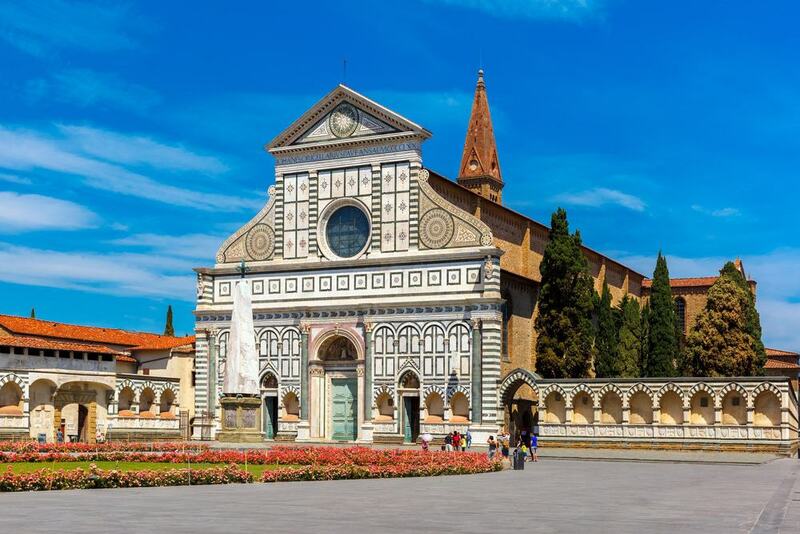 Home to an incredible collection of museums and art galleries, not to mention breathtaking architecture, Florence should be high on the bucket list of any self-respecting traveler. One of the biggest draw cards to Florence is the Uffizi Gallery. Lovers of fine art and Renaissance splendor will already have their trip to the Uffizi Gallery planned out. Home to works from some of the finest artists who have ever walked the earth – namely Botticelli, Caravaggio and Raphael – Uffizi is inspiring, mesmerizing and truly unforgettable. Away from the art and the architecture, Florence’s food culture will leave you spell-bound. From traditional Florentine trattorias to the high street ‘gelaterias’, Florence will render you both hungry for more, and suitably stuffed. With a population of just 380,000 people, there is a calmness to Florence that provides a welcome contrast from hectic Rome or cramped Venice. If you are seeking the romantic Italian atmosphere shown in the movies, with a smattering of culture, history, and fine food for good measure, you’re in the right place. Let’s take a look at where to stay in Florence, so you can get back to planning your route around the Uffizi and more. Piazza San Marco is the northern tourist district of Florence, and one of the most visited spots in all of the city. A fantastic starting point for your explorations in Florence, Piazza San Marco opens early and closes late. Good thing too, for being so popular means that there are often queues around Piazza to gain entry to the square’s focal point, the Church of San Marco. Featuring an ornate facade that was constructed in the 17th Century, the San Marco church is both picturesque and culturally significant. A site fraught with historical upheaval, the church of San Marco is a Florence essential, as it were, for budding historians. Staying in the Piazza San Marco neighborhood puts you within a short walk of the Duomo and dozens of Florence’s majestic art galleries. There are some wonderful, family-run trattorias to explore in this district – too many to count. Hotel Orto de’ Medici – Major plus points are the Tuscan stone staircases, sun-trapped garden and panoramic views of Florence from the private terrace. The rooms are modern, stylish and understated. All feature ensuite bathroom, free WiFi and flat screen TV. 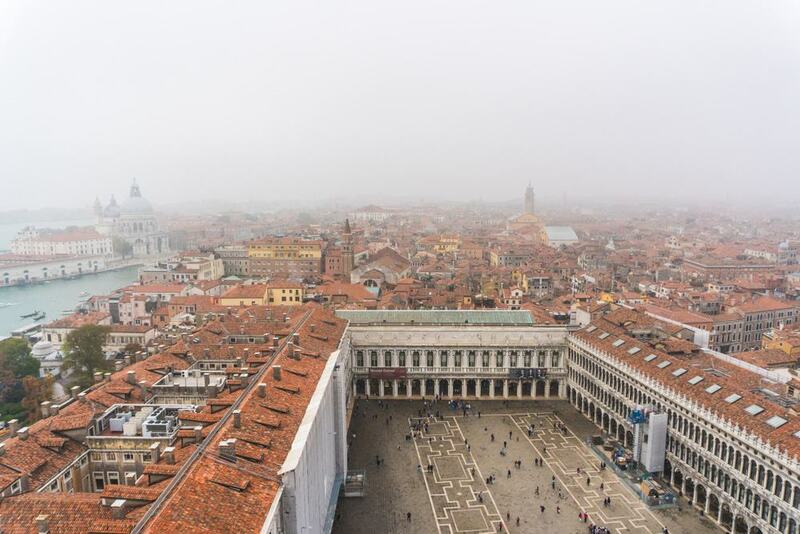 Just a short 2-minute walk from Piazza San Marco. Piccolo Hotel – Homely, humble and budget friendly, Piccolo Hotel is a family run B&B that sits just 3-minutes, on foot, from Piazza San Marco. Ideal for travelers on a tight budget or those simply looking for a place to sleep and shower. Free WiFi throughout the property. Hotel Miceli – Civico 50 – Modern and minimalist, this is a hidden gem. The rooms are bright, spacious and comfortable. All rooms have air-conditioning, WiFi and ensuite bathrooms. The staff are friendly, helpful, and know the area well. Be sure to ask for their hints and tips for travel in Florence. Oozing with charm and abundant in architectural gems, Santa Croce is a particularly wonderful neighborhood to stay in in Florence. The major attraction in Santa Croce is, unsurprisingly, the magnificent Basilica of Santa Croce. Did you know that Michelangelo is buried in Santa Croce? Galilei, Machiavelli, and Rossini too. 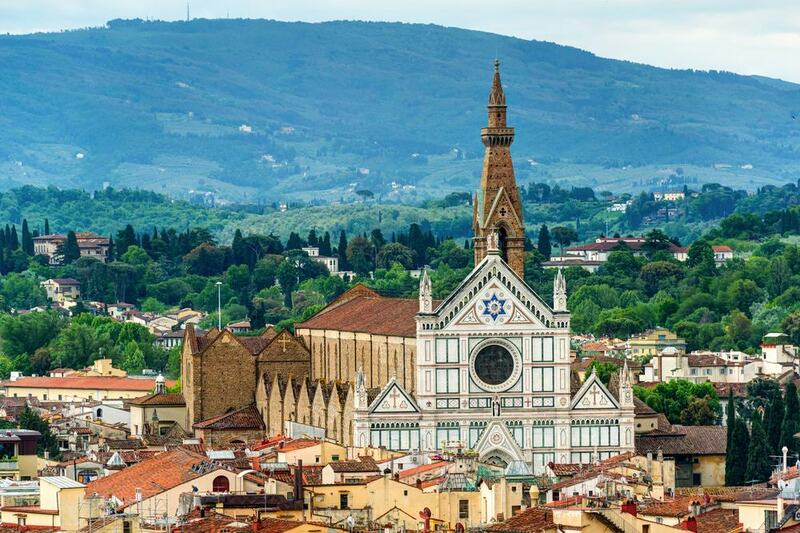 Steeped in art history, the Santa Croce neighborhood should not be overlooked, and, wherever you choose to stay, the Basilica of Santa Croce is a must-visit. Within a short walk of Basilica of Santa Croce lies a wealth of independent boutique shops, vibrant markets and gorgeous cafes. The joy of Santa Croce is that it offers the feeling of being in authentic, local Florence, while being within a short walking distance or cheap taxi ride of the city’s major attractions. Sant’Ambrogio market is where you’ll find locals and visitors alike sampling and purchasing some of Tuscany’s finest produce. Hotel Santa Croce – Set in a beautiful 17th-century building. The complimentary breakfast buffet includes freshly-baked croissants and exceptionally good coffee. Ensuite rooms are available for single, double, triple and even quadruple occupancy. Located 120-meters from the Basilica, the friendly staff can help arrange tours and travel arrangements. B&B Righi – Offering impressive views of Piazza Santa Croce and set within a 15th-century building, this is a great B&B option in Florence. The terracotta floors and low wooden-beamed ceilings add an extra element of charm and class. Rooms and spacious suites are available. Hotel Bernini Palace – Ornate and regal, Hotel Bernini Palace is stylish and classy. Featuring stunning antique furniture and Murano-glass chandeliers, guests feel like they have stepped back in time to 15th-century Florence. The furnished terrace is a lovely spot for morning coffee or evening cocktails. This neighborhood is centered around the medieval arched bridge that straddles the Arno, connecting south Florence to the north. 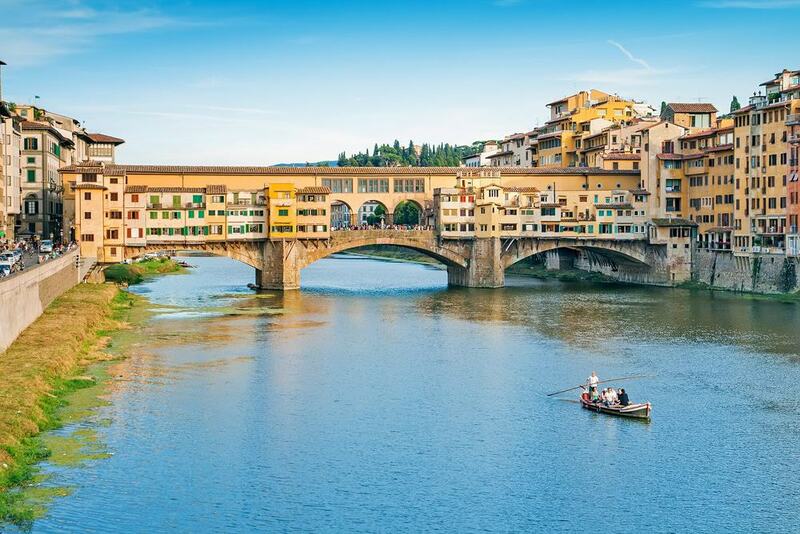 With streets flanked with artisan jewelry shops, traditional trattorias and countless souvenir stores, Ponte Vecchio is ideal for travelers who are only in town for a day or so. Museo Galileo is one of the highlights of the Ponte Vecchio neighborhood. Understandably, the Museo Galileo is one of the most popular attractions in Florence – it focuses on science history, rather than art history – adding a more varied element to your city tour. The museum takes visitors on a journey of scientific discovery and features equipment and instruments used by Galileo himself. Although science can be hands on and fun, this particular museum is not the most child friendly. Just a heads up, Museo Galileo is often locally referred to as Museo di Storia della Scienza. Pitti Palace al Ponte – The rooftop terrace steals the show at Pitti Palace al Ponte, as does the breakfast spread. Set within the Rossi Tower, Pitti Palace is right at the heart of Ponte Vecchio. Ideal for couples young and old, solo travelers and families. Double and triple rooms available, luxury suites too. Hotel degli Orafi – One of the most highly recommended hotels in Florence, the rooms are elegant and spacious. The suites are the embodiment of Italian luxury and feature exposed wooden beams and soft carpets. Set in a former 13th-century Augustine convent, Hotel degli Orafi feels fabulously Florentine. Hotel Hermitage – Homely and historical, Hotel Hermitage is really rather cute. The rooms are decorated with artistic floral wallpaper and come with gorgeous Florentine rugs. Some rooms even offer views of Florence Cathedral. Sip an authentic Italian cappuccino on the rooftop each morning and admire the view of Ponte Vecchio neighborhood. Vaguely, Oltrarno refers to the collection of neighborhoods that fall south of the Arno, but the areas of most interest run from Piazza Santo Spirito to Piazza Pitti, along Via Maggio. A little less popular than hectic Piazza San Marco, Oltrarno is the perfect area for travelers preferring to take it slow in Florence. There is myriad of artisan and boutique shops, workshops and galleries to explore. If you are a fan of a leisurely saunter, window shopping and coffee stops, you will feel completely at one with Oltrarno. Oltrarno is one of the most authentic neighborhoods in Florence, that sees locals and visitors flow together in harmony. 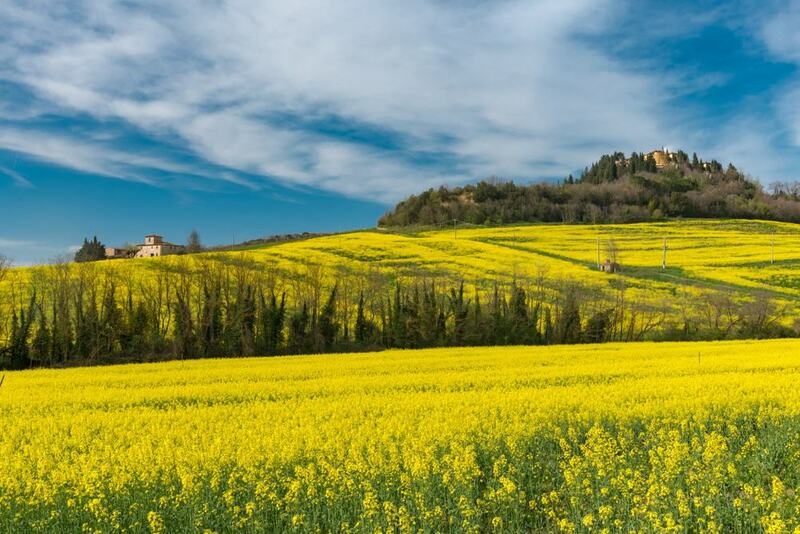 Although there is a fabulous selection of fine dining restaurants in Oltrarno, those keen on seeking the ‘like a local’ experience should stop and sample the offerings of the many ‘hole-in-the-wall’ style eateries that are tucked away in every nook and cranny. Palazzo Guadagni Hotel – Right in the heart of Oltrarno, Palazzo Guadagni Hotel is within walking distance of all neighborhood best attractions. The lounges and terraces are relaxing and offer incredible city views. The rooms are spacious and feature classic Italian design elements. Breakfast and WiFi are complimentary. Foresteria Valdese di Firenze – Modern rooms, great location and wonderful staff. All rooms have air-conditioning, satellite TV channels and private bathroom. Particularly great for families or groups of friends. Foresteria Valdese di Firenze has double, twin, triple and quadruple rooms available, some with private terrace. Breakfast is not included. B&Beatrice – Boutique in style and incorporating modern design and decor within a traditional Florentine property. Just 160-meters from Palazzo Pitti and 500-meters from Boboli Gardens. Ideal for budget conscious travelers or anyone looking for a simple yet comfortable place to stay. The breakfast is outstanding. Heading back to the north side of the Arno, the Santa Maria Novella neighborhood offers you great access to Florence’s leading landmarks. The Basilica of Santa Maria Novella is just as impressive, if not more so, than Basilica of Santa Croce. During your stay it would be interesting to compare and contrast your thoughts on both of these architectural wonders. The Cappelle Medicee is one of Florence’s best hidden gems. This domed mausoleum houses the tombs of the highly influential Medici family. The most impressive feature of the Cappelle Medicee is the New Sacristy by Michelangelo. Another of Santa Maria Novella’s best kept secrets is Santa Maria Novella Pharmacy. This olfactory overload dates back over 600 years and is still a functioning pharmacy and perfumery to this day. The opening hours are unpredictable, so it may take a couple of visits before you get inside. Certainly worth the trial and error. Hotel Universo – Ever popular and offering views of the Basilica of Santa Maria Novella, Hotel Universo is an excellent choice. The rooms are quirky and cute, comfortable and functional. A hearty breakfast buffet is included in your room rate and their coffee is great. Rooms have WiFi, A/C and a mini-bar. Hotel Palazzo dal Borgo – Situated in a restored 15th-century building and featuring a sun-trapped courtyard, Hotel Palazzo dal Borgo is near faultless. The rooms feature heritage design and offer outstanding levels of comfort. The staff cater to your every need and the breakfast pastries are a real treat. Casa Howard Guest House Residenza D’Epoca – Incorporating modern design elements with classic Italian furniture and furnishings, Casa Howard is homely and comfortable. With a room, or suite, to suit every budget, this is a hidden gem. Just 200-meters from Santa Maria Novella and 400-meters from Cappelle Medicee, location-wise, it ticks all the boxes. In the summer months in particular, Florence city center can get hot and hectic. If you prefer a more relaxed and restorative place to stay, then head for the hills. 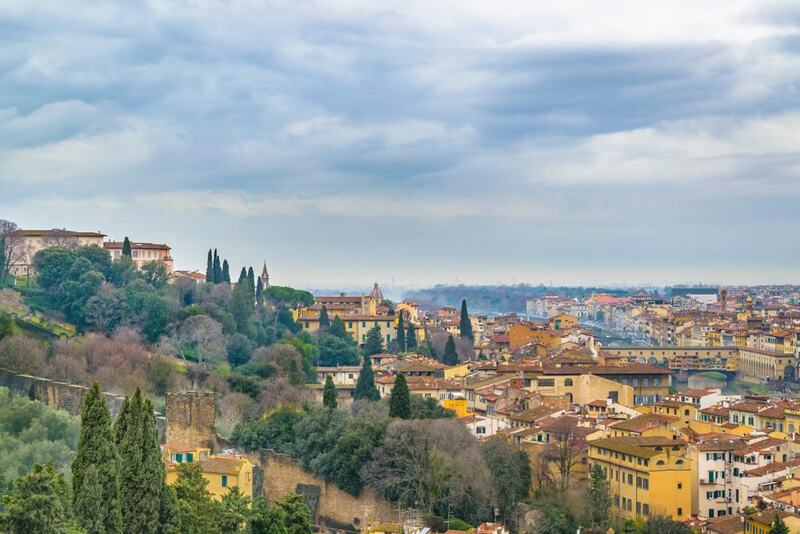 Florence sits within a picturesque valley, and with great public transport options, sleeping outside of the city center seems an obvious choice. It may be home to some of the city’s more exclusive hotels and retreats, but Florence Hills is accommodating to all. This is a neighborhood highly desirable for travelers who are keen on experiencing Italy at its most authentic. Perfect for active travelers who enjoy walking and generally exploring off the beaten track. Pack your camera and your water bottle and get out there. Affable locals are quick to point you in the right direction and offer you a wholesome feed. You could easily spend a long weekend in this neighborhood wining and dining, and doing not a lot in between. Hotel Villa Betania – This charming, family-run hotel sits nestled in Florence’s picturesque hills. The rooms are incredibly spacious and many come with their own terrace. The breakfast at Hotel Villa Betania is wonderful and offered on a complimentary basis. The bar is a great place to meet and mingle. Villa Belvedere – In the suitably secluded San Gaggio area of Florence, Villa Belvedere offers impressive views of the city below. With a rating of 4-stars, they have all the facilities you could wish for – including tennis court and outdoor swimming pool. The rooms are comfortable and cozy. Sangaggio House B&B – Family-run and endearingly homely, Sangaggio House B&B offers guests classic Italian hospitality and a taste of authentic Florence. The rooms have air-conditioning, tea and coffee making facilities and WiFi access. There is lots to see in the village. City center is 10-minutes away by bus.